- The class II type A2 clean bench (Biological Safety Cabinate) provides you with antiseptic work conditions. Extensively used in Industries as electronics, Bio Tech, Precision Incubation, Pharmacy etc. to provide clean work environment. 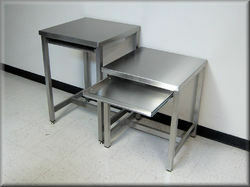 Our organization has been recognized for providing Clean Bench which can be availed at fair market price. • Particle count in the work area conform to ISO Class 4 conditions (formerly Class 10 per Federal Standard 209E). Supply HEPA filter, 99.99% efficient on particles 0.3 micron. 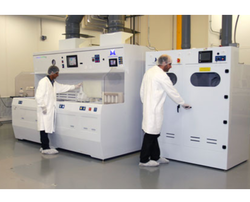 We are offering a wide range of Laminar Flow Clean Benches. Available in varied designs, our clients can select from vertical and horizontal type. These products are highly acclaimed for their 99.97% particle removal class 100 HEPA filter, microprocessor PID controller, back light LCD display, 9 step air velocity control, UV, FL lamp & timer and filter replacement warning lamp.